$649.99 each List: $1,406.00, You Save: $756.01! For situations in need of increased attack, projection and volume, the Philharmonic Cast Aluminum Shell Snare Drum is the perfect answer. The exclusive 3mm cast Aluminum alloy offers a warmth and richness similar to wood, but with increased brightness and attack, characteristic of metal shell snare drums. 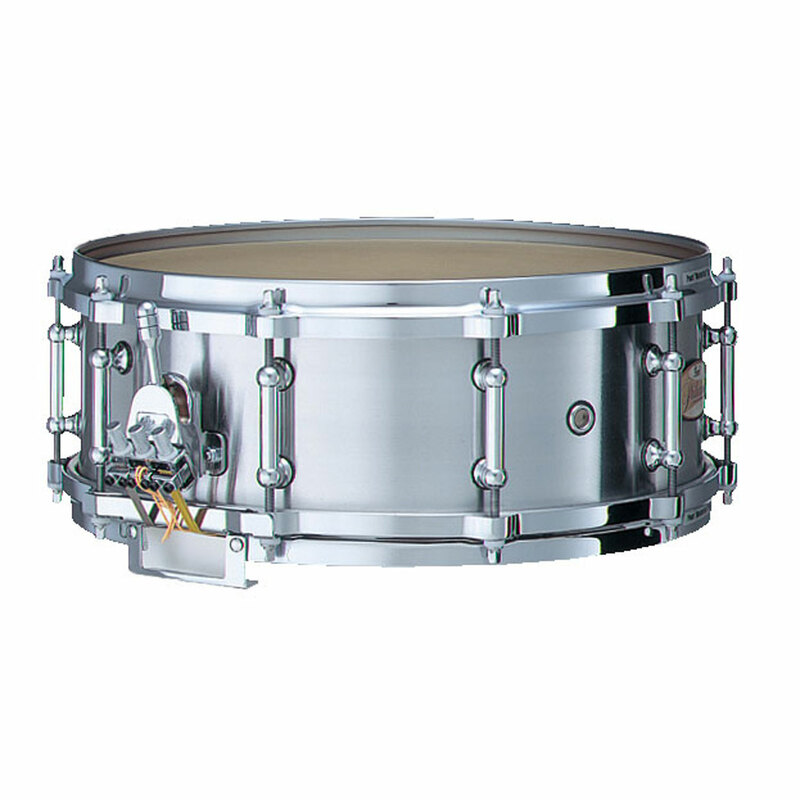 Simply put, the unique Cast Aluminum Philharmonic Snare Drum offers the best of both tonal worlds. I've owned this drum for a few years now, picked it up during grad school and used it for DMA auditions, solo performance, ensemble performance, etc. There are so many different ways to tune this drum for different sounds and it can be used for so many situations - it's truly a jack of all trades. I went with aluminum to liven up the sound, as I play with a dark, heavy sound - the drum helps balance that out. The drum sounds great at pianissimo and at fortissimo. My only complaint is that similar drums from other manufacturers include a bag with their drums, and this does not. That said, this is less expensive than comparable drums, so perhaps "bag included" isn't all that included. If you're going to own 1 snare drum for concert playing - this or a wood version should be it.